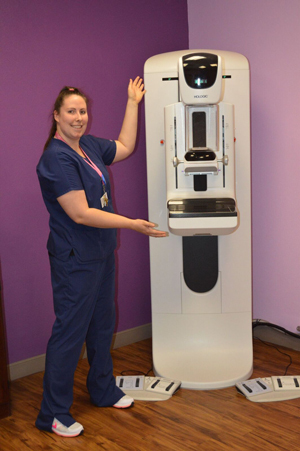 3D MAMMOGRAPHY SERVICES ARE HERE! 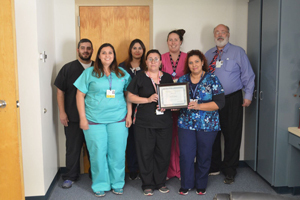 Mammography Services have been provided at Reeves County Hospital District since December, 2013 when a new state of the art mammography machine was purchased, a certified mammography technician was recruited, and the program was certified in December of 2013. On May 22, 2018 our mammography services were upgraded to include 3D Mammography, the same technology provided in the Odessa/Midland area. This technology means that there is up to a 40% chance that a patient will not need to return for additional screening. 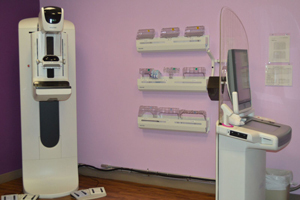 And, it is provided locally so need to travel out of town for the most advanced technology available in Mammography. The Imaging Department provides an annual breast cancer awareness event each year in October. In 2018, the 5th Annual Mammo-Mania event will be held in October (date TBA) from 8am - 2pm at the hospital. 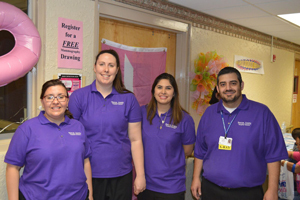 Through our partnership with Pink The Basin, a non-profit 501c3 organization based in the Permian Basin, we are able to provide free breast exams, mammograms, diagnostic ultrasounds if needed, and free radiologist fees for those who are uninsured and/or underinsured. Door prizes and refreshments will be provided throughout the day. In 2017 we screened at least 50 participants. We also had a pink tow truck on display courtesy of Neal Pool Rekers in Odessa. We are proud and honored to have such giving community partnerships to assist in providing this much needed screening to anyone who might need it. And, if you are not able to attend Mammo-Mania in October, 2018 don't worry, this funding is available 365 days a year! To schedule an appointment please call 432-447-3551, extension 5537. A doctor's order is required to schedule a mammogram.